A practical guide to learning basic manners and the difference between what is appropriate and what is not. 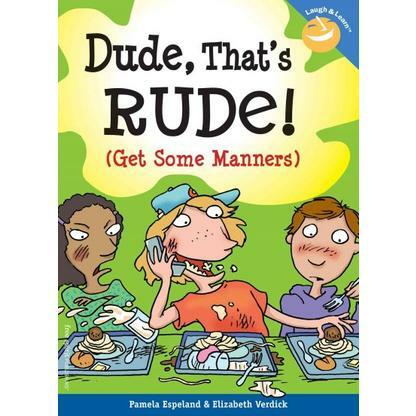 Full-color cartoons and kid-friendly text teach the basics of polite behavior in all kinds of situations—at home, at school, in the bathroom, on the phone, at the mall, and more. Kids learn Power Words to use and P.U. Words to avoid, why their family deserves their best manners, and the essentials of e-tiquette (politeness online). Lexile 730 IL 4-8.